After the firm response of Morocco, which recalled its ambassador to Algeria for consultation and summoned Algeria’s Chargé d’Affaires in Rabat to protest the scandalous remarks made by the Algerian Foreign Minister, Abdelkader Messahel, several voices have been rising to denounce these remarks as outrageous, irresponsible, and offensive. Moroccan Africa-based Banks, Moroccan Carrier RAM, the Moroccan Employers’ Association (CGEM), the African Diplomatic Corps in Rabat, and many politicians have come forward to reject the Algerian official’s remarks. Speaking at the Algerian Business Leaders Forum (FCE) on Friday, Messahel bluntly accused Morocco of “laundering cannabis money via its banks in the continent”. In his blunder, he also claimed that “African heads of state” told him about the money laundering. He added that Morocco’s flag carrier RAM, which has been operating in Africa and serving destinations at times western companies refused to operate flights to Ebola hit countries, was “actually carrying something other than passengers”, alluding to drugs. The Professional Association of Moroccan Banks (GPBM) released a statement Saturday underlining that the entire Moroccan banking sector vehemently rejects “these serious and misleading allegations”. The Algerian Foreign Minister’s remarks “reflect a total and flagrant ignorance of the rules and ethics that govern the activities of Moroccan banks all over the world and of course in the African continent,” said the GPBM. The Moroccan banking sector, as recognized by international bodies, is cited as a reference in the MENA region and in Africa, thanks to its high performance and respect for most advanced prudential rules, mainly the Basel II and III standards, IFRS, said the statement. The Professional Grouping of Moroccan Banks reserves the right to reply to the serious remarks made by the Algerian Foreign Minister, the statement said, pointing out that Moroccan banks are present in Africa thanks to their level of good governance, transparency, and the fight against money laundering and terrorism funding pursuant to FATF standards, in which Morocco is a founding member, in addition to the different international obligations on conforming or sharing financial data to which Morocco adheres. Moroccan banks are now present in 22 African countries and around 17 per cent of their foreign activity is on the continent. The African Diplomatic Corps in Rabat has also distanced itself from the “incomprehensible” statements of the Algerian Official against Morocco, pointing out that the chiefs of African diplomatic missions took note with astonishment of the statements, made by one of the most authoritative voice in Algeria. The dean of the African diplomatic corps, Ambassador of the Central African Republic, Nimaga Ismaila, deplored “such statements that only make the situation worse”. Speaking on behalf of the African ambassadors in Rabat following an information meeting held Saturday by the Moroccan Foreign Ministry, Nimaga Ismaila, wondered how the Algerian Foreign Minister dared to take the liberty to involve African Heads of State in his remarks. He said in this connection that the coming meeting of African heads of state in Addis Ababa will be an opportunity to demand “explanations” from Algeria about their involvement in such statements. RAM added that it operates as a member of the International Civil Aviation Organization (ICAO) and that it ensures strict respect of international rules and regulations in terms of security, making it clear that it will use all legal means available to defend its honor and the honor of its passengers and employees. The carrier said the Algerian official thought that he could seriously slander Morocco’s carrier by making unfounded statements aimed indisputably at undermining Morocco’s influence through its national airline. This shows a blatant lack of professionalism and a complete ignorance of diplomacy, said RAM, expressing indignation at Messahel’s slanderous comments about “an airline that has been working for several decades to strengthen social and economic ties in Africa”. Internationally recognized as operating according to the best standards of the world air transport regulations, RAM, the second largest company in Africa, is renowned for its stringent safety standards. RAM benefits from a 4-star airline certification by Skytrax, an international airline rating and review system. For the Moroccan employers’ association, the Algerian Foreign Minister’s defamatory remarks constitute first an insult to the intelligence of Algerian economic operators, who are aware of the relevance of the Moroccan economic model and partnership, based on a South-South cooperation seeking the development and growth for the entire continent. “These serious and unfounded remarks also constitute an attack on the sovereignty of African states and an aggression against their governing bodies, regulations and security systems,” the CGEM said in a statement released Sunday. 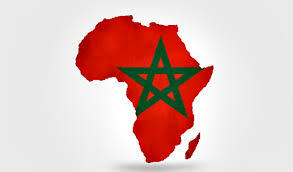 The commitment of Moroccan companies in Africa does not suffer from the vagaries of the economy. It reflects a strong and unwavering belief in Africa’s potential and a development and partnership strategy spearheaded by King Mohammed VI, the CGEM said, expressing appreciation for Moroccan companies’ contribution to the continent, in terms of development, through economic and social infrastructure projects as well as the creation of added value and local jobs. Written by: Jaber Ali on October 23, 2017. Posted by Jaber Ali on Oct 23 2017. Filed under Headlines, World News. You can follow any responses to this entry through the RSS 2.0. Both comments and pings are currently closed.